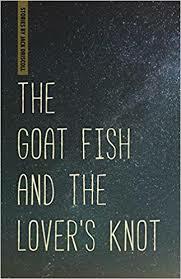 Elmore Leonard said about Jack Driscoll’s stories, “The guy can really write.” And in The Goat Fish and the Lover’s Knot, he once again demonstrates in every sentence the grace and grit of a true storyteller. The ten stories are mostly set in Michigan’s northern lower peninsula, a landscape as gorgeous as it is severe. If at times the situations in these stories appear hopeless, the characters nonetheless, and even against seemingly impossible odds, dare to hope. The stories are written from multiple points of view and testify to Driscoll’s range and understanding of human nature, and to how “the heart in conflict with itself” always defines the larger, more meaningful story. A high school pitching sensation loses his arm in a public school classroom during show and tell. A woman lives all of her ages in one day. A fourteen-year-old boy finds himself alone after midnight in a rowboat in the middle of the lake with his best friend’s mother. 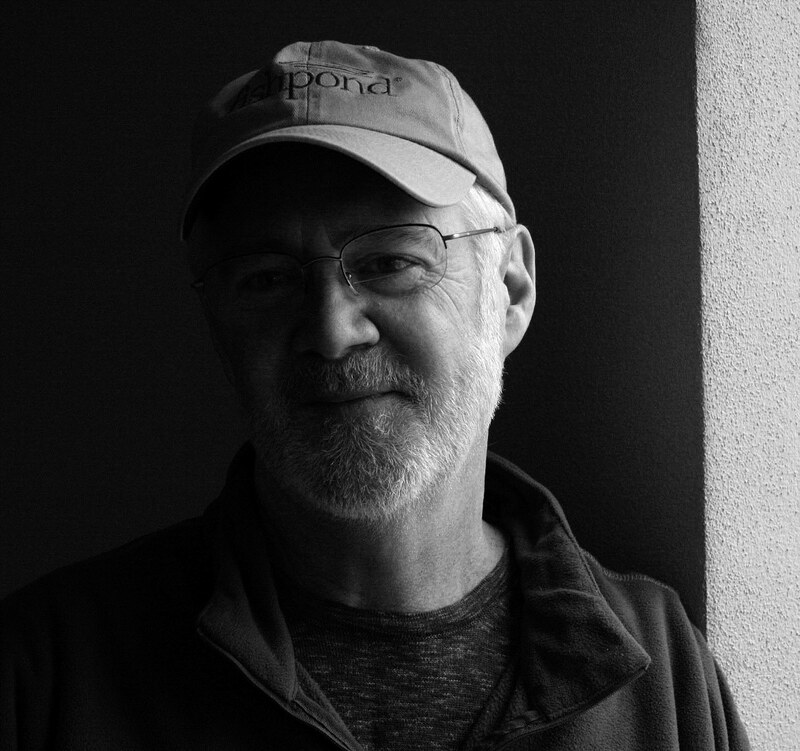 Driscoll is a prose stylist of the highest order — a voice as original as the stories he tells. You wrote poetry for many years before you began writing fiction, which I’m guessing, is why the language in your prose is so rich. Can you tell us how your poetry background has informed your fiction? I promised myself during a sabbatical year way back in 1982, that if I completed a poetry manuscript and still had time left to work undisturbed, I’d try my hand at fiction. I was eleven years old when I began composing in lines and rhymes and stanzas, meaning three decades apprenticing as a poet. Clearly it’s reflected in my stories. In fact, not long ago I was introduced as a poet masquerading as a novelist, and which I liked a lot. I was back then, and even more so now, all about blurring the boundaries, and experimenting in every way I could conceive to discover, if possible, poetry’s place in my prose, the lyric and the narrative blending and complementing each other. Language that was rich in image, in metaphor, and, of course, reflecting a certain quality of sound or song. That’s precisely what I’ve attempted to do while simultaneously avoiding the pitfalls of too much lyricism, too much language. You’ve talked about how important it is to come up with a first line. But where do you go from there, and how do you know if that line will become a poem, story, or novel? I’ve always trusted that if I could generate a first line compelling enough to follow forward, that over time the poem would reveal itself to me. That’s how I work, on faith, given that I rarely, if ever, have any clue as to where the poem is headed, what it’s up to. But along the way, patterns inevitably form, and content begins to reveal itself. My process for writing short fiction is exactly the same, except that instead of an opening line, I need an opening sentence. And really, nothing else.I’m entirely comfortable in the not knowing, and then—hopefully—surprising myself by what I stumble on, and by how I say it. As Robert Frost says, “No surprise for the writer, no surprise for the reader.” I live by that. You’ve mentioned that you write by ear. Can you explain what you mean by that? When Kevin Brockmeier says, “Everything, given the possibility, would choose to be a song,” I recognize its immediate and implicit truth. It’s why I have a CD with seventeen covers of “Danny Boy,” a song that calls to me a kind of attention that I’d love to replicate in my prose. Walter Pater maintained that, “All art conspires to the condition of music.” Words as notes, let’s say, and making sure that every single one is on key, and functioning as part of the story’s overall orchestration. When you were studying at Windham College in Vermont, you met a writer and professor who changed your life. Who was that person who convinced you to become a writer? I guess I should first own up to attending four different undergraduate colleges, and where I did not perform well. Dropped in and out. Worked in a paper mill, worked as a dishwasher, worked on a landscaping crew, and believed for awhile that maybe my parents were wrong after all, that college really wasn’t in my future. But one weekend I visited a few friends from boarding school who were attending a small liberal arts college in Putney, Vermont, and who, over a few beers, lobbied for me to apply. Which I did—my choice of a school for a change, and which my father resisted, thinking it too liberal. Nonetheless, my parents acquiesced, and it was there that I met John Irving, whose first novel Setting Free the Bears, had just been published. He was the first teacher who encouraged me to believe that writing might be an option, why not? If I worked at it, because that’s what it would take, a fanatical and committed persistence over time, and that the apprenticeship would be ongoing. His was the voice I’d been searching for. And simply being in his presence validated my longstanding ‘fantasy’ to pursue a writing life. To go to bed thinking of myself that way, and to wake up in that same light. Tell us about your writing day. Frank Gaspar, a colleague of mine at Pacific University, once passed out what looked liked business cards during a panel discussion. On the cards was the image of an old Royal typewriter, and the phrase, “Touch it everyday.” That’s what I try to do, and need to do, given how slow I am, how long it takes me to get each sentence right. As Grace Paley says, “Put every word on trial for its life,” and so I do. It takes time, and any attempt to divine a strategy to make the process any easier will fail us in only about a thousand different ways. Show up, stay in the chair. If you do, sometimes good things happen.